On 7th of April 2018, the Canadian Amiga community had a nice meeting in Ontario, Canada called AmigaON. 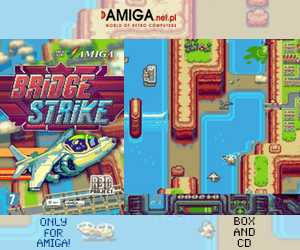 Robbie Strike went down to AmigaOn in Brockville Ontario Canada to look at some cool Amiga stuff! Here all of the visitors could see Vampire cards from Apollo Team in action, Brand new Amiga home computers, MorphOS 3.10 hardware and even Commodore 64’s Video Capture devices that could take one picture at a time! This was a gathering of Amiga enthusiasts from this part of Canada in North America. 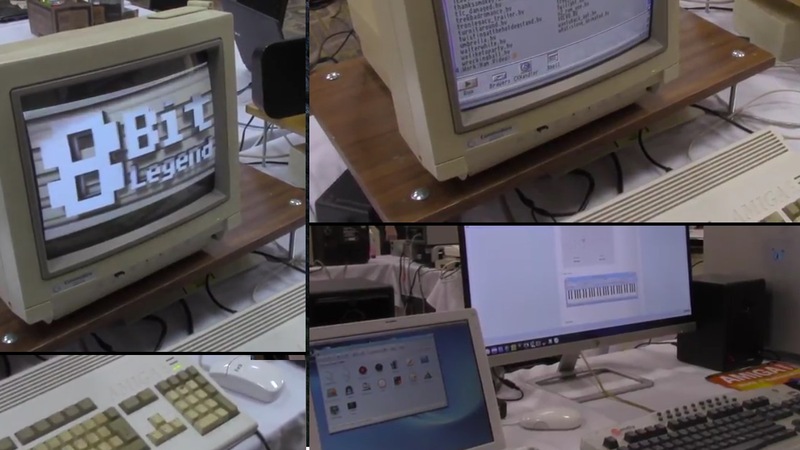 Here people brought their Amiga’s and spend the full day with other Amiga enthusiasts. Here they were playing games and toying with their favorite Commodore computer! Of course, if you had something else that wasn’t Commodore related people also brought other awesome Retro machines to the event. The event was alive between 11.00 to 21.00 (11am to 9pm) and was for the most of the time full packed. 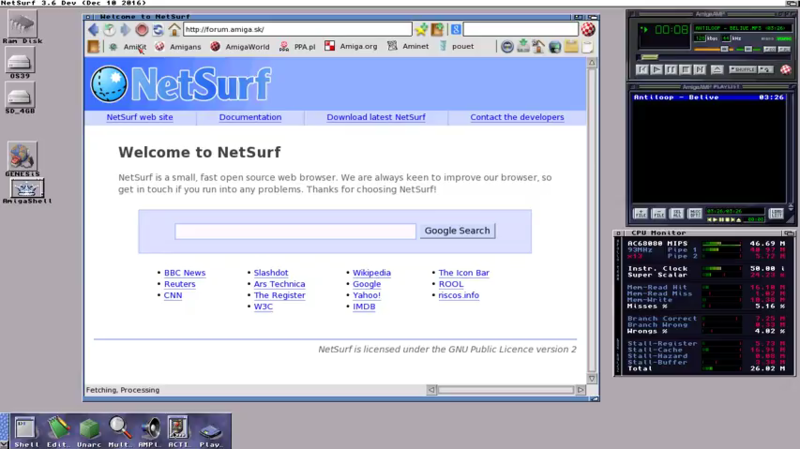 They had a game competition, and there was a few presentations/talks during the day. The Amiga community in Canada seems to be much healthier than I thought it would be. Thanks to Robbie for documenting this unknown AmigaOn event that was held in Canada. Robbie Strike also focused in his video from AmigaOn on a user attending the event with his basic Amiga 1200 with 8MB of RAM that could play videos. Most of Amigan’s knows about Amiga video capabilities. But when someone from the outside enters a Amiga event like AmigaOn, he gets impressed. You can see all about it on the video below. 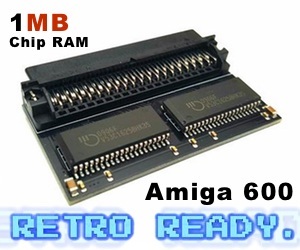 Amitopia Amiga Magazine is a on-line magazine that is very interested in all Amiga news and happenings around the world. 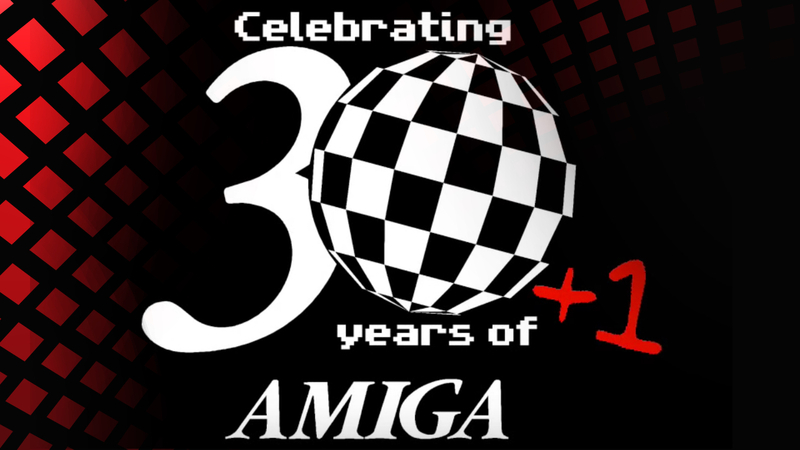 If you know of a Amiga event that we haven’t covered, then please send us an e-mail with details, links and pictures. You can also write a Amiga Event report where you include links to your blogsite or Video.